Inside Pride II « Vancouver Spotlight – Your Station! Your Stories! Jack Layton, federal NDP rolls up in a convertible, summarizing his thoughts on gay pride with, “happy pride, let’s take it world wide.” Xtra West, Vancouver’s own Gay and Lesbian Biweekly, describes this Pride Parade as, “the best Pride Parade…seen in years.” The parade continues to escalate, with musical style street dancing popping up more and more groups out to support pride. Endless contributors, teams, groups, organizations, and establishments are there to champion the struggle for equal rights. 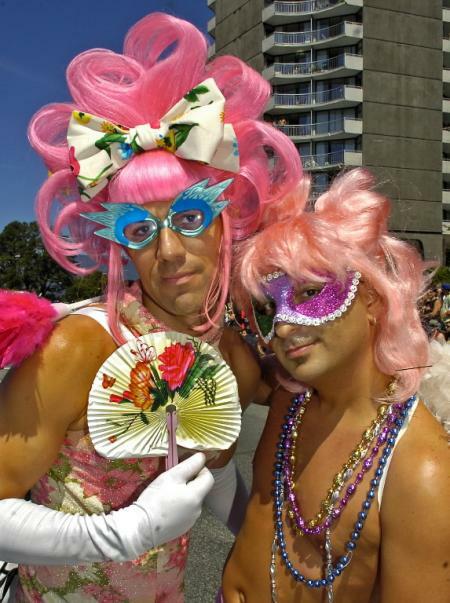 This entry was written by vanspotlight and posted on September 22, 2008 at 4:40 am and filed under Gay/Lesbian, Music, Outdoor Activities with tags dikes, English Bay, festival, gay, inside pride II, parade, pride, rainbow. Bookmark the permalink. Follow any comments here with the RSS feed for this post. Post a comment or leave a trackback: Trackback URL.